This popular event places local “Celebrity Waiters” at restaurants throughout St. Johns County. The “Celebrity Waiters” wait tables and all of their tips are donated to BBBS of St. Johns County. Tips For Kids Sake provides the opportunity for folks to enjoy a fun dinner, with great entertainment, while supporting a great cause! Tips is the major fundraiser for BBBS and all of the funds raised will help to expand our mentoring programs throughout the county. 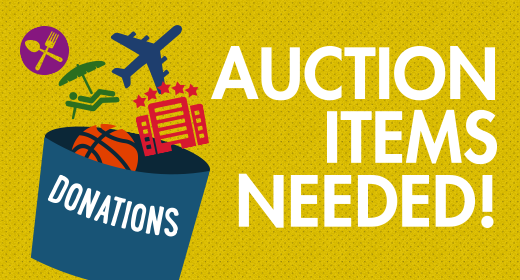 Whether you live nearby, or half way across the globe, the Big Brothers Big Sisters summer online auction gives donors the opportunity to support our mission AND win interesting items, services or experiences. Visit the website and bid on your favorite items! All proceeds are donated to BBBS to assist in expanding mentoring programs. BBBS of St. Johns County is thrilled to be the beneficiary of the annual Conch House, “Great Chowder Debate”. This long-running event brings in local restaurants vying for the title of Best Chowder. With 5 different categories, there’s plenty to taste and sample! Live music and activities make this a fun event for the whole family. All proceeds are donated to BBBS to assist in expanding mentoring programs.